Letters to a Young Librarian: Down Wit OPL, Ya You Know Me! While trying to find a picture for this post, I stumbled on one by someone I know, so I stopped there. What's OPL? Other People's Libraries, and I've been in a couple of them lately. We're working on a kindness audit in my library right now (an idea I got from Joe Hardenbrook), and my reference librarian came up with the idea of comparing our space to the public library in town using those means. Then, as part of my participation in the College Library Directors' Mentor Program, I finally got a chance to visit my mentor's library. Mostly I talked with her staff and a few colleagues, but we did spend some time touring the building. How are people dressed? Staff, student workers, etc. Does the staff make eye contact with patrons when appropriate? Does the staff smile? Are staff interacting with patrons? If so, in what capacities? What does it look like? Do I get a feel of old and musty? New and shiny? Some mixture? Is there graffiti on furniture? How out of date/up to date is the style? What kinds of furniture are provided? Is there lots of jargon on the signs? I also look for how ADA compliant and otherwise accessible libraries are even beyond the signage, but that's a post unto itself. I know lots of MLIS programs require students to visit multiple libraries as part of their course of study, but that visiting shouldn't stop just because you graduated. Nothing is an exact substitute for an in person visit, but if you don't have other libraries nearby, you can always try to visit virtually. 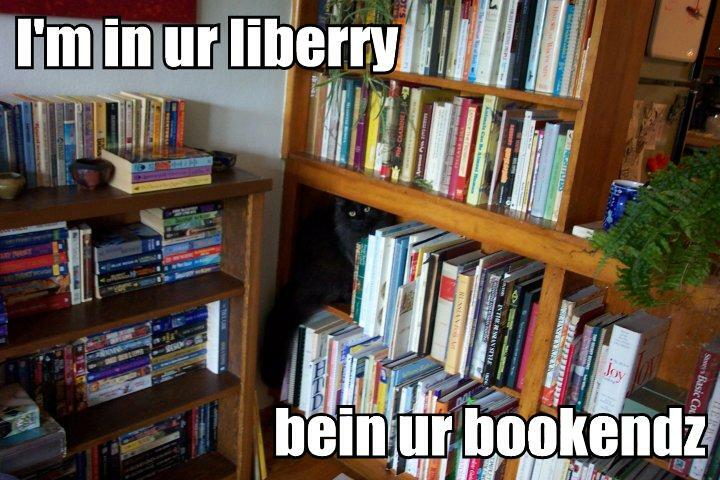 When you are in the same library all the time, you can forget that there are other ways of librarianing. Even if you don't have the budget that your destination libraries have, you can still get ideas. So, you down wit OPL? If so, how do you approach it?